After years of slump, sugar prices are rising. But government intervention may spoil the industry's party. Santosh Nirwal, a 37-year-old sugar cane farmer, has been growing the crop for the past nine years. In the current sugar year (SY2016/17), spanning from October to April, the yield from his farm in Shamli district of West Uttar Pradesh, has been excellent, thanks to improved seed quality and a good monsoon. It is expected to fetch him a good price as strong demand, coupled with a tight supply situation, has kept sugar prices high. Moreover, states like Uttar Pradesh often raise sugar cane prices based on production costs, yields and sugar recovery rates. This state-advised price can be way above the fair and remunerative pricing determined by the central government. A bumper crop like the one Nirwal has raised would have normally led to a sugar glut and pulled down prices. However, successive years of drought, from 2014 to 2016, in the key sugar cane-growing states, Maharashtra and Karnataka, has taken a toll on overall sugar production, which fell 18.5 per cent year-on-year to 16.25 million tonnes (MT) between October and February, notwithstanding a good season in Uttar Pradesh, the second-largest sugar-producing state. Sugar prices touched a high of Rs 3,957.50 per quintal on the commodity exchange NCDEX in February this year. Nirwal, although aware of the rising prices, does not feel like celebrating just yet. Sugar mills still owe him money from previous years, he says. Demonetisation meant he had to borrow capital from a money lender at a high interest rate. "In all these years, I have catered to three sugar mills in the area. One of them shut down three years ago and the other two still owe me money," he recalls. "The owners say they don't have money to pay me but drive luxury cars and own big bungalows. They are bound to gain from the price increase. We may get nothing." That sugar cane farmers suffer from the vagaries of nature and a volatile sugar market is nothing new. Consequently, in a bid to appease the farmers in the upper Doab region - the patch of fertile land between the Ganga and the Yamuna in western and south-western Uttar Pradesh - governments revise sugar cane prices regularly. According to the industry body, Indian Sugar Mills Association (ISMA), sugar cane prices have gone up by 181 per cent since 2008/09. And the corresponding rise in retail prices in Delhi during the same period is a little over 100 per cent. The industry claims that the availability of surplus sugar in the country is the main reason it has not been able to pass on this cost to end consumers, resulting in high arrears and its inability to pay the farmers on time. "Companies were required to borrow from banks to pay sugar cane growers, and high operating costs led to a rather excessive debt burden. Over the past five years, the debt went up from `10,000 crore to well over `50,000 crore," says Tarun Sawhney, Vice Chairman and Managing Director of Triveni Engineering and Industries, a leading sugar manufacturer. "This also included some soft loans, with interest subvention, given by the government. It added to the debt burden and reduced the creditworthiness of the companies. Many had to take the BIFR route to delay legal action for debt recovery," he says. 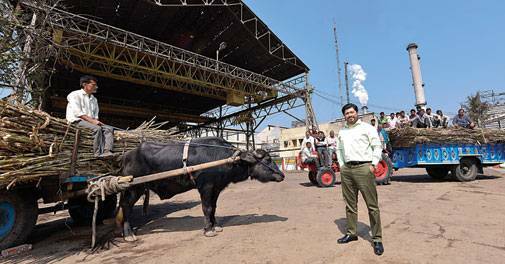 Going by the industry report card, the rising price curve on the back of a production dip should mean a windfall for farners and companies such as Triveni. But before we discuss the impact of the price increase, let us take a quick look at the shortfall. To begin with, at an estimated 20.3 MT, this season's production will be at a seven-year low. It will also be the first time since 2009/10 when annual consumption, at 24.2 MT, will be higher than production. There had been a fall in consumption post demonetisation but not enough to balance the supply-demand mismatch. The shortfall in production will also have a direct bearing on the closing stock - the sugar stored post harvest in April that caters to the demand till the next harvest in November. In 2015/16, the closing stock stood at 7.7 MT, but by the industry's own estimates, it is expected to come down to 4.8 MT this year. An early festive season - with both Dussehra and Diwali falling in September-October this year - will see consumption peaking early. The marriage season has also started in northern India and it will soon be summer, when demand usually rises, as per the January report by the National Institute of Commodity Research, or NICR, run by the NCDEX. Understandably, sugar prices have started inching northwards. Since October 2015, the beginning of SY2015/16, spot prices have risen nearly 55 per cent in the domestic market. As on February 13, 2017, price of sugar in the Delhi market stood at `39.60 per kg, up more than 20 per cent over the past 12 months. With a weight of 1.3 per cent in the consumer price index and 2.7 per cent in the wholesale price index, and indications of a further gap in demand-supply, any price rise may push up food inflation. Nevertheless, the current rise in prices also means companies are in better shape today. On a year-on-year basis, sugar manufacturers made net profits in each quarter during the January-September 2016 period after remaining in the red in each of the seven quarters between April 2014 and December 2015. The operating margin of the industry also stayed in double digits - in the range of 13-23 per cent - in each of these quarters. As a result, farmers have started getting their money back, although the industry still owes them over `50,000 crore. Unlike India, global sugar prices have gone down by 9 per cent since October 2016. At $534.6 per tonne (for white sugar), they are, on an average, 12-15 per cent lower than the current domestic prices. But till date, the government has been discouraging imports through a prohibitive import duty of 40 per cent, much to the chagrin of sugar dealers. Along with reducing the production forecast, ISMA has also reduced the consumption forecast, saying India will not need to import, much to the disappointment of those who think ISMA's lower consumption estimate is not accurate. Some experts say the supply shortage is real. "With an expected closing stock of 4.7 MT for 2016/17, India is unlikely to meet the normative requirement of three months' stock for the next year. The country may need to import sugar to ensure adequate supplies," says hagyashree Bhati, research analyst at Care Ratings. "To ensure supplies, the government may reduce the import duty to contain the price rise on the back of a fall in domestic production for the second consecutive year and a tight stock situation during the year." According to the January report of the NICR, "Import duty must be reduced and import incentives must be given to improve supplies in the medium to long term. This is the most effective way to contain prices." The clamour for reducing import duties has made the industry jittery and put sugar manufacturers on the back foot. Back in 2008/09, when production had dipped 44.8 per cent, the government had removed duties and allowed imports to bring down prices. But it hurt the domestic industry and pushed it into the red. Sugar manufacturers want to avoid a repeat at all costs. "Last time when imports were allowed, it was devastating. It propelled us into a downward spiral for several years. We had a sugar surplus, which took its own sweet time to be exported," says Sawhney of Triveni Engineering. "The industry incurred financial losses while the farming community was affected as farmers could not be paid on time. The industry did not have the money to pay the farmers. For some short-term gains, it's not worth damaging the industry, which is just beginning to correct itself after successive bad years." This time around, the ISMA says in spite of the recent hikes, existing prices of sugar barely cover production costs. The blame is on speculators, traders and refiners who wish to profit at the behest of the industry and cane growers. "A few speculators and sugar refiners continue to spread rumours to suit their interests and create opportunities for themselves to import sugar. 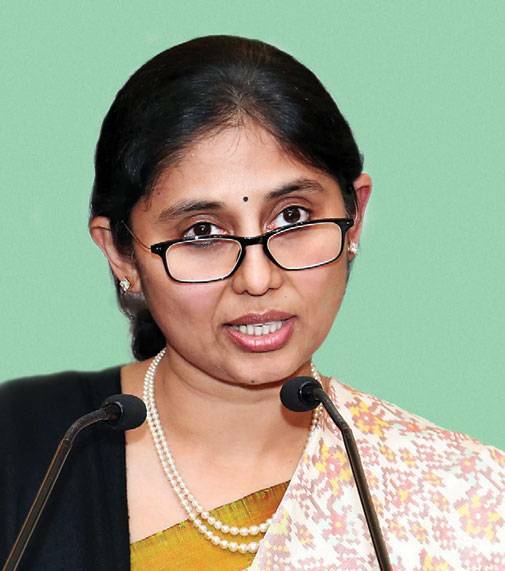 Their statements on shortage of sugar, mostly made without any analysis and research, are leading to speculation and volatility in the market and a spike in prices," says T. Sarita Reddy, President of ISMA. "There's no shortage and, therefore, no need to import any sugar. Surplus sugar cane crop and sugar production are expected next year. Any decision should be taken with proper care and certainty as the lives and livelihoods of millions of farmers across the countrydepend on it." Analysts believe such fears are exaggerated and the impact of imports on domestic sugar prices will be temporary. As India is the world's largest consumer of sugar, opening up of the market will lead to firming up of international prices. "If the government decides to reduce the import duty on raw sugar, the Indian market will witness a knee-jerk reaction and prices may come down. 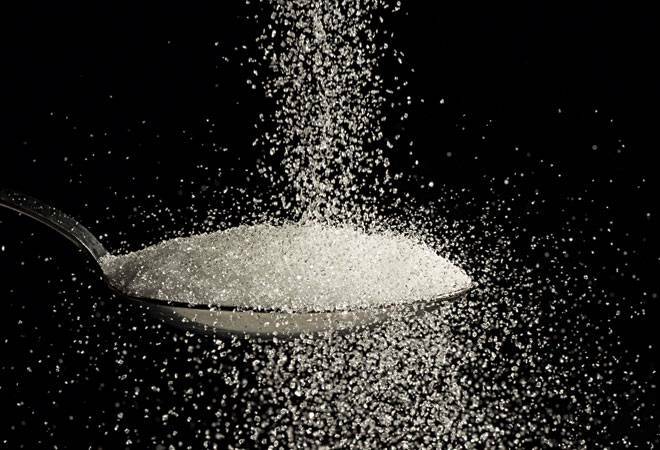 But the moment India starts importing, there is strong possibility that international sugar prices will react sharply due to demand from India," says the aforementioned NICR report. "The impact of lower import duty would be nullified due to possibility of a sharp rise in international prices. Once international prices start increasing, Indian prices are bound to rise."